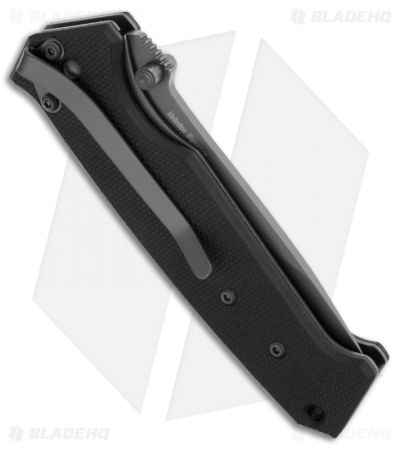 This is an dual-action automatic conversion knife with hidden-scale release. Action is excellent and easy to use. Based on the Butch Valotton designed Timberline Signature series. 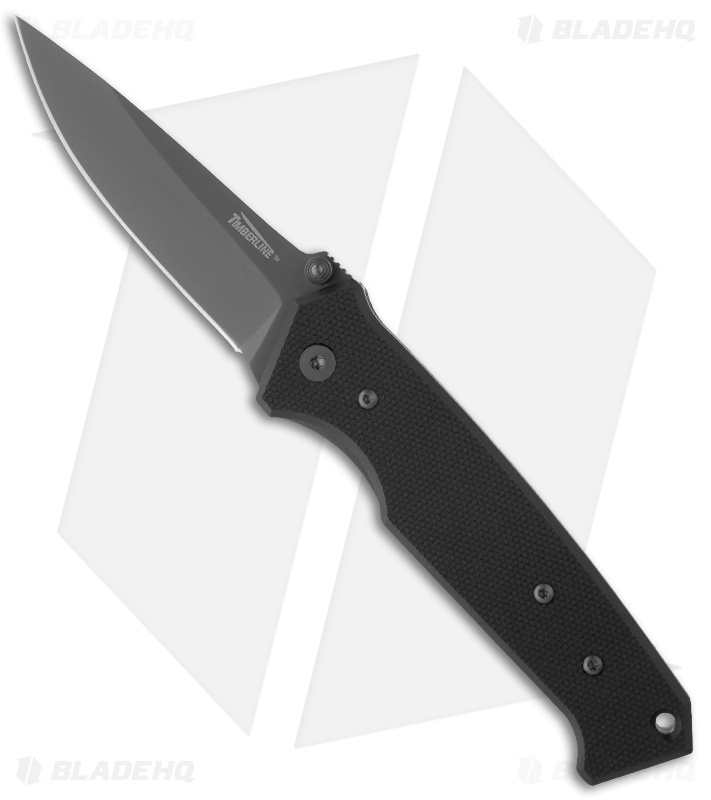 It has a titanium coated AUS-8 steel blade (plain) and black G-10 scales over a steel liner lock frame. The blade is stamped with the Vallotton "V" logo.